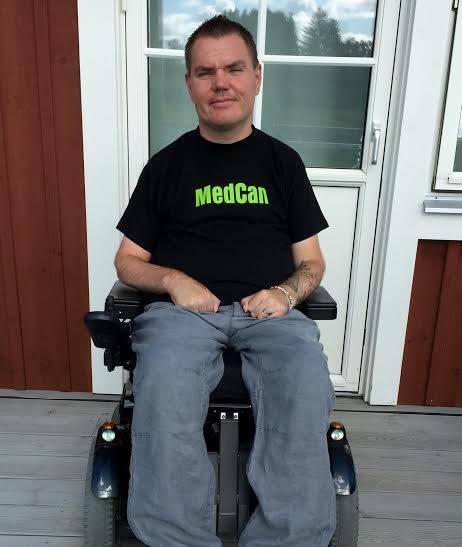 Yesterday was a historical day for all of us who want to see medical cannabis reintroduced as a legal available medicine in Sweden. Andreas Thörn, 36, from the city of Västerås was (to his delight and big surprise) acquitted in the lower District Court of Västmanland for growing his own medical marijuana at home. The “crime” he committed was growing and using cannabis to ease his pain, which he contracted some 20 years ago in a motorcycle accident. Ever since then he has been in a wheelchair. Cannabis seems to be the only medicine that works in this case. Andreas has been through all the legal alternatives without any success. The sentence means that Andreas will get back almost 100 grams of home grown weed, which the cops are being forced to return to him. This is unheard of in Sweden with one of the toughest drug laws in the western world. Even for mere consumption there is a maximum penalty of 6 months in prison. 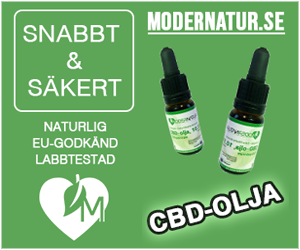 Formally there is no such thing as medicinal cannabis in Sweden and the only allowed medicines containing it are Sativex and Marinol. But these are very hard to get and are not subsidized by the government which results in high expenses for the patients. Cannabis.se phoned Andreas and congratulated him to his victory in court. -What do you think about the fact that the general prosecutor has appealed the verdict? I asked. I also wanted to know if he thinks if the fact that this trial has got a lot of publicity will be to his advantage. -No matter what will happen with the appeal, Andreas says, this has gone a thousand times better then expected. I AM free, according to the law. At least for the time being. -You never know how the professional lawyers think, Andreas continues. And it is not absolutely certain that this has to go to another trial. Obviously they can decide to scrutinize the documentation in the case in a higher court and then decide without a retrial. 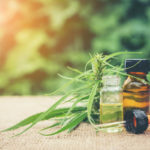 -But if there is going to be a second trial, we have discussed to call some expert witnesses who could back me up regarding the medical properties of cannabis in my case. That is the only way for me to ease the pain. -Today’s victory was more then I had ever hoped for, but it would never have happened without the tremendous backing that I have received, especially from my lawyer, Andreas says. However the court was not in agreement about the verdict. The three laymen that constitutes the Swedish version of a jury in court, were the ones who wanted to free Andreas, while the judge Christina Brobacke wanted to convict him. Fortunately the jurors thought differently and Andreas was acquitted! The prosecutor Ann-Sofie Wilhelmsson is obviously not willing to let go of our anachronistic legislation that easily. She is telling the local radio she will appeal the sentence, which has to be done before september 17. She does not think that Andreas Thörn has been in a situation of need and she is also of the opinion the the need-paragraph should be used more restrictively. Congratulations to Andreas and Sweden!